So I’m missing a lot of my books (in storage, not that I currently have the space for them anyway) but a couple weeks ago, some Facebook posts on Garry Adelman’s Civil War page made me miss his book Devils’ Den: A History and Guide (co-authored with Timothy Smith) enough to order a used copy online. I’d get a second copy for around ten bucks, read it now, and then when I get my next real home, give away the copy I don’t want. Right? So I went to Amazon and ordered a “very good condition” used copy from Better World Books, a vendor I’d dealt with before… usually their books are gently used, maybe ex libris copies with the stickers-markings etc. So I suppose I’ll be keeping THIS copy. Several chapters of Devil’s Den: A History and Guide focus on a subject that always has intrigued me: the non-military history of the town and the battlefield, and particularly the uncomfortable convergence of the battlefield and the town… particularly the Gettysburg-Harrisburg Railroad (GHRR), which had its terminus in… my hometown of Carlisle! The GHRR spur line ran south from a terminus near the current Wenger’s Meats in Carlisle, south through Letort Park and along Bonnybrook Creek–that section of the line is now a rails-to-trails path– crossing the Yellow Breeches near Craighead House, and continuing south from Mt. Holly along rt 34; Conrail still uses that section of track for freight traffic. 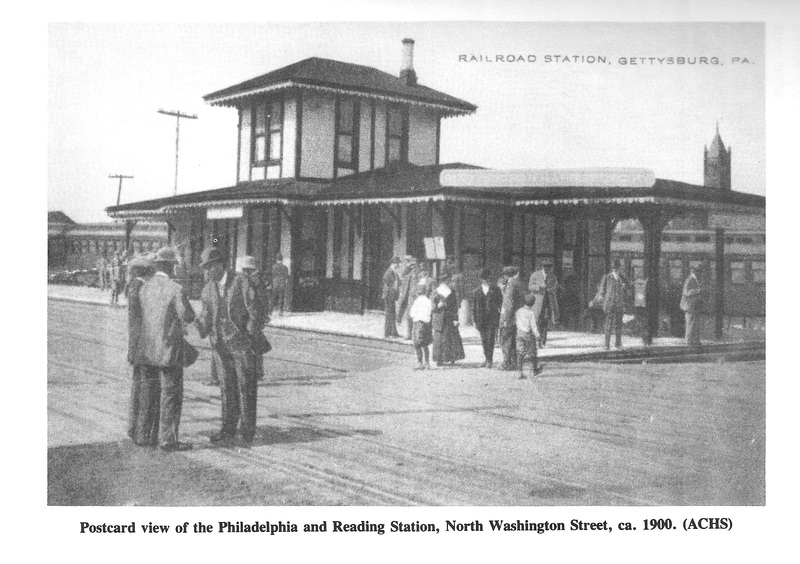 The line runs south through rural Cumberland and Adams county, and terminates at a railroad station on Washington Avenue in Gettysburg, adjacent to the Gettysburg College campus (NOT the “Lincoln Train Station” on Carlisle Street). Click to enlarge. Illustration from the book To Gettysburg By Rail by Walter Powell (Thomas Publications, 1989). Further, the GHRR built a spur line from that spur line, running excursion trains from that station in downtown Gettysburg out to Little Round Top (crossing the battlefield on the section of field where Pickett’s Charge took place… talk about your alterations to the field!). This excursion line terminated at a resort adjacent to Little Round Top, called Round Top Park, which the GHRR also owned. A handful of other attractions were there (most notably a photo studio run by early photographer William Tipton), but GHRR closed the spur and sold the park, and that was when the trouble started. Click to enlarge. 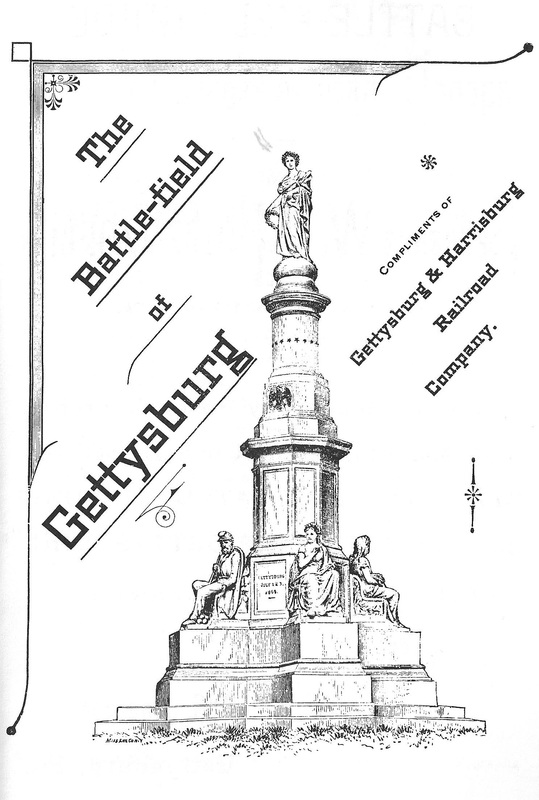 Illustration from the book To Gettysburg By Rail. Among other “attractions,” there was a casino there, but the Army ALSO had an installation near there called Camp Colt. Colonel John P. Nicholson, Chairman of the Gettysburg Battlefield Commission, stated to me that he has been trying to get conditions on Little Round Top corrected; for this purpose he had an item in the sundry civil bill [budget] for $5000 with which to purchase and thus control the privately controlled grounds now used as a dance house and general resort, but that it was stricken out; as a result the resort is continued on privately owned property that lies just beyond but immediately adjacent to his jurisdiction [what is now protected Park Service battlefield land] and likewise just beyond the jurisdiction of the military authorities [MPs-etc at Camp Colt]. The condition described to me by Col. Nicholson is certainly very deplorable. He says that this resort is frequented by prostitutes, not only from Gettysburg, but who come in excursions [I bet they did, haha] from the neighboring towns of York, Harrisburg, Chambersburg and Emmitsburg. These excursions bring with them quantities of beer and whiskey which they give or sell to the soldiers. As a result of this debauchery the grounds, the immediate surroundings of the resort itself, part of them lying with the Battlefield reservations, are used for association purposes. On a single evening over 50 couples were detected and driven from hiding places behind the tablets, monuments, rocks and trees of the reservation [battlefield]. On one occasion his officers found over 300 empty beer bottles scattered around their various hiding places. Colonel Nicholson further stated that he found it impossible to properly police this point. All of this land is now Park Service property, and very few traces of the non-military attractions can be found (although the rail bed is visible in the brush if you know where to look). 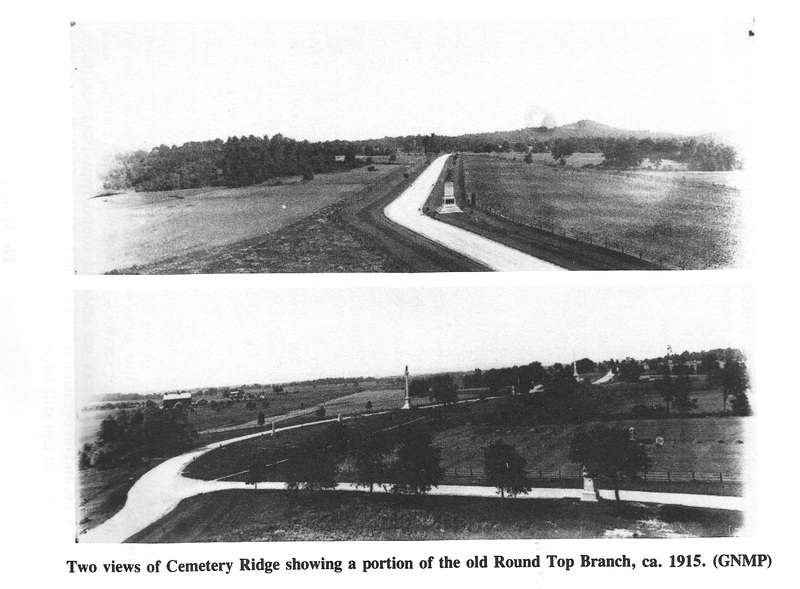 The story of the Gettysburg-Harrisburg Railroad and Round Top Park is ripe for a book… maybe a novel? In the meantime, it’s a blog post!